At First Colleyville we want to make it as easy as possible for you to join us on a Sunday morning! Please share a little about yourself in the form below and a pastor will reach out to you to ensure your first experience at First Colleyville is a great one! If you are bringing children, please let us know the names and ages of those who will require childcare. We have services that meet on Sunday mornings at 9:00am, 10:15am, and 11:30am. Those service are held in our auditorium. Some attenders dress casually and some dress up—it’s all good! You are free to come exactly as you are, so wear whatever you are most comfortable in. 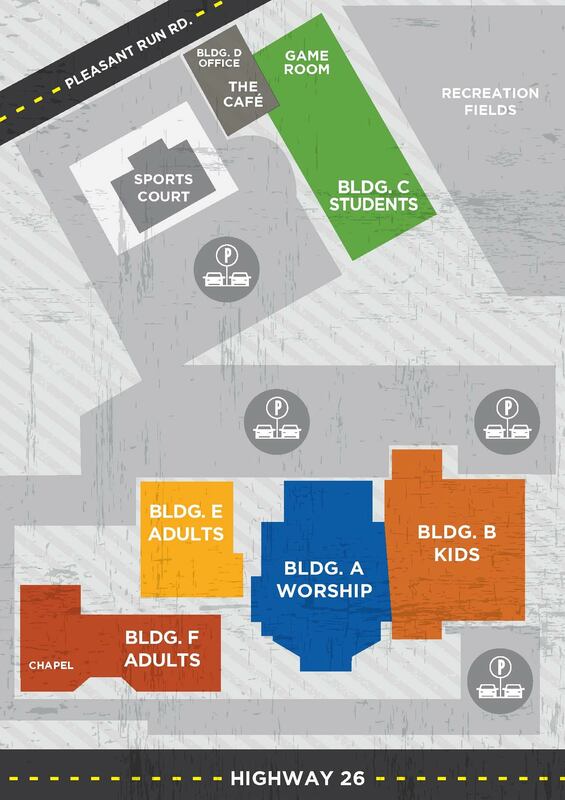 When you arrive at a First Colleyville service, you will park in the front parking lot (directly off Colleyville Blvd). You’ll be greeted by a friendly smile from one of our greeters. There will be some coffee for you to enjoy on us, and you can check your kids into our kids’ ministry. There will be a 5-minute countdown to let you know when service will start, so you can be sure to get your seat before the service begins! We start our services with a time of energetic, passionate praise and worship. Once worship is over, we will share a few announcements about what’s happening at our church through video and live communicators. We’ll then continue our worship which flows right into the weekend message. Most weekends, our Lead Pastor, Craig Etheredge will preach. Our services close with a brief time to respond to God in both worship and prayer. Our services last about an hour. Our Kids ministry provides an amazing weekend experience at 9:00am & 10:15am for ages 6 weeks - 5th grade and limited programming at 11:30am for ages 6 weeks - Kinder. Visit the Kids check-in kiosk where our team will register your children and give them a name badge with a parent pick-up tag. Please let us know if your child has any allergies or special requirements during the check-in time. At the end of the service, simply show your parent pick-up tag to the security personnel upon entrance into the Kids wing, then to a teacher in your child’s classroom and your child will be released to you. The best way to get connected is through Discover First. Discover First is our 2-hour experience that meets on campus during a weekend service. We offer Discover First almost every month. In Discover First, you’ll hear our story, catch the vision of our church, hear options on how to get connected, and find out how you can join in to what God is doing here at First Colleyville.